COLUMBUS, Ohio — Two lawmakers in Ohio have introduced a bill that would completely abolish abortion in the state without exceptions. H.B. 565, also known as the “abolition of abortion” bill, was officially filed on Monday by Rep. Ron Hood, R-Ashville, and Rep. Nino Vitale, R-Urbana, with the backing of 18 sponsors. “We are declaring in the state of Ohio that life begins at conception. 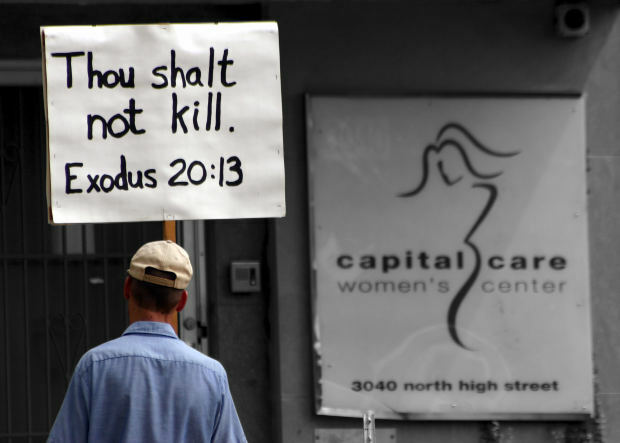 Therefore, any attempts to murder an unborn child from the time of conception is in fact a murder and falls under all the existing murder statutes in the state of Ohio,” Hood explained in a recent interview with the Ohio Pro-Life League. He said that this type of legislation is needed because most pro-life bills merely regulate abortion and allow the killing to continue. Hood’s bill defines the preborn as an individual from fertilization, and bans the murder of the unborn without exceptions. Hospitals are equally prohibited from performing an abortion, and babies who die in situations where attempts must be made to save both mother and child will not be considered to have been unlawfully terminated. The co-sponsors of the bill include state Reps. Thomas Brinkman, R-Mt. Lookout; Niraj Antani, R-Miamisburg; Kristina Roegner, R-Hudson; John Becker, R-Union Township; Craig Riedel, R-Defiance; Candace Keller, R-Middletown; Andy Thompson, R-Marietta; Tim Schaffer, R-Lancaster; and Scott Wiggam, R-Wooster. In December 2016, Republican Gov. John Kasich vetoed a bill that would have banned abortion when a heartbeat is detected, stating that he didn’t believe the state would succeed in a legal challenge. He also advised that he subsequently didn’t want any legal fees going to pro-abortion groups. “So low, gentleman, is the moral sense of community on this subject. So ignorant are even the greater number of individuals, that even mothers in many instances shrink not at the commission of this crime, but will voluntarily destroy their own progeny, in violation of every natural sentiment, and in opposition to the laws of God and man,” he said.